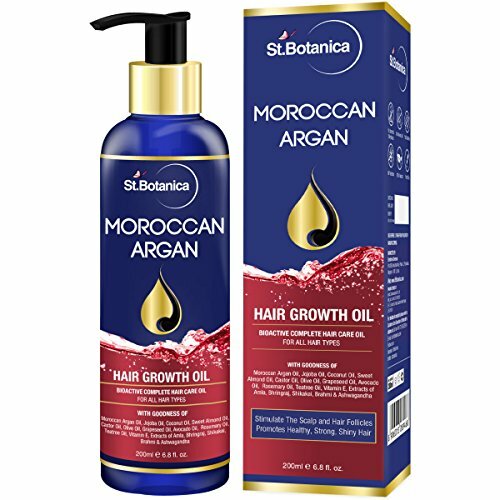 The natural solution to achieve the soft, full, flowing hair you desire StBotanica Moroccan argan hair growth oil is the one-stop solution for your all-too-common hair health issues. Now’s the time for beautifully restored and completely nourished hair. Bring back to life limp dry hair. Create lustrous, full volume. Get soft, shiny and supple hair. Tame frizzy unmanageable hair. Repair dry, split ends. 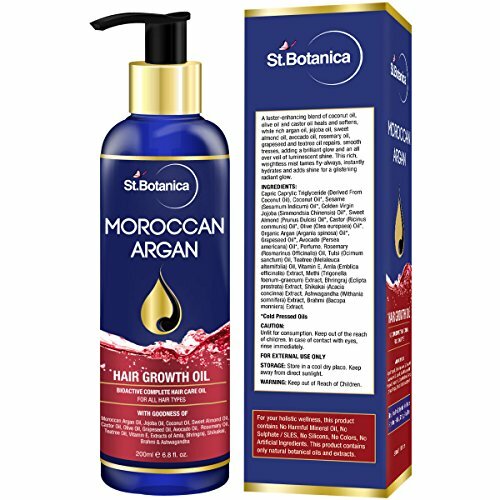 From root to tip, StBotanica Moroccan argan hair growth oil feeds your hair with 100 percent plant oils that are essential for complete hair health. Impressive results for the hair you deserve. 100 Percent vegan plant-based oils include – jojoba oil – strengthen hair fibres from the inside out. 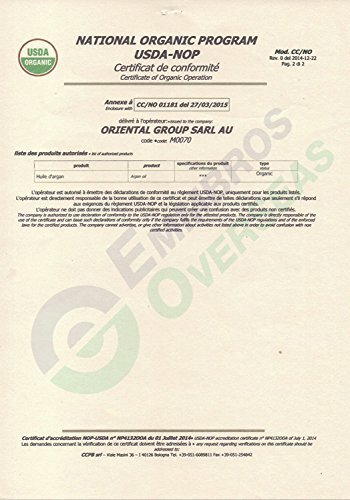 Moroccan argan oil – effectively create a tight seal for your hair cuticle. 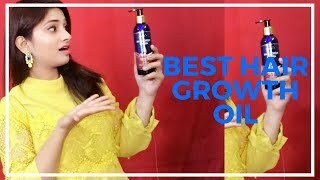 Sesame oil – prevent hair thinning and foster healthy hair luster and full texture. Grapeseed oil – provide nourishment from the root for every strand while also sealing in moisture. Rosemary oil – for hair nourishment and hair growth. Gives shiner, healthier hair. Avocado oil – replenishes the hair with vitamins for overall hair growth. 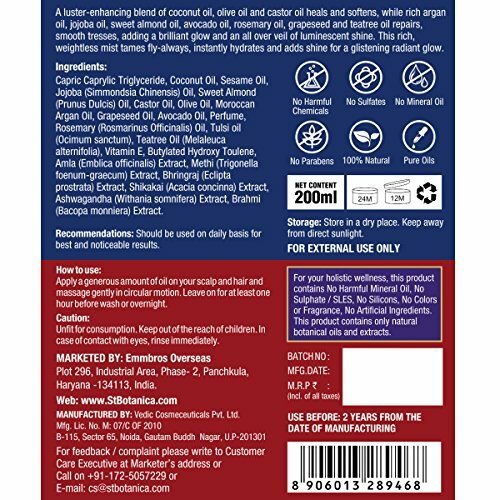 Castor oil – recommended for hair strength and prevent hair loss. Coconut oil – rich in fatty acids that nourish and moisturize the scalp and hair. Tea tree oil – naturally soothes itchy scalp and prevents many hair problems such as dandruff. Natural extracts order your argan oil hair repair today to enjoy a complete natural solution to achieve your most beautiful hair yet. 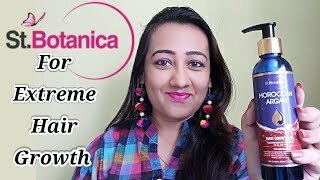 Give Hair Natural Shine – Leaves Hair Naturally Smooth, Silky and Healthy, While Repairing Dry, Frizzy and Brittle Hair. 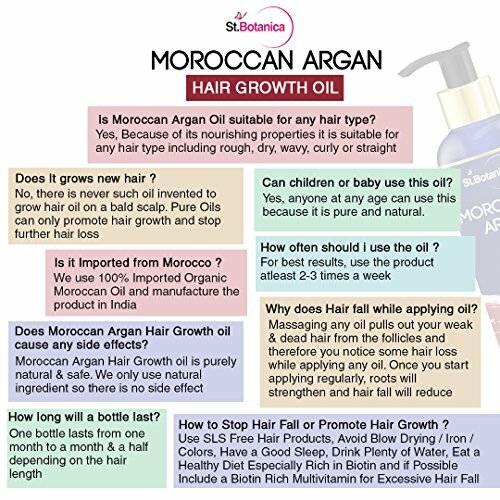 Moroccan Argan Hair Oil Is Lightweight and Gets Absorbed Quickly. Cleans and Soothes Scalp – the Biggest Offender Against Hair Growth Is a Dirty, Congested Scalp. 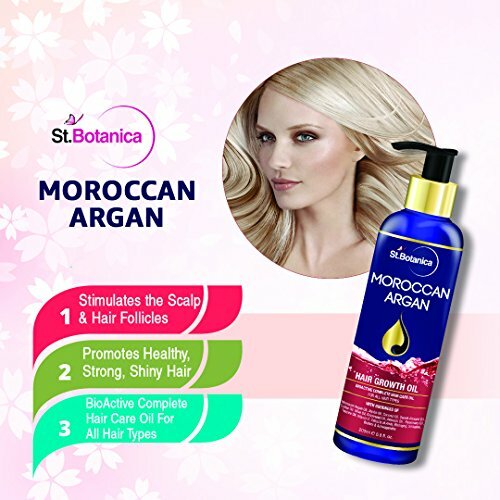 The Natural Solution to Achieve the Soft, Full, Flowing Hair You Desire StBotanica Moroccan Argan Hair Growth Oil Is the One-stop Solution for Your All-too-common Hair Health Issues. Now’s the Time for Beautifully Restored and Completely Nourished Hair. Bring Back to Life Limp Dry Hair. Create Lustrous, Full Volume. Get Soft, Shiny and Supple Hair. Tame Frizzy Unmanageable Hair. Repair Dry, Split Ends. 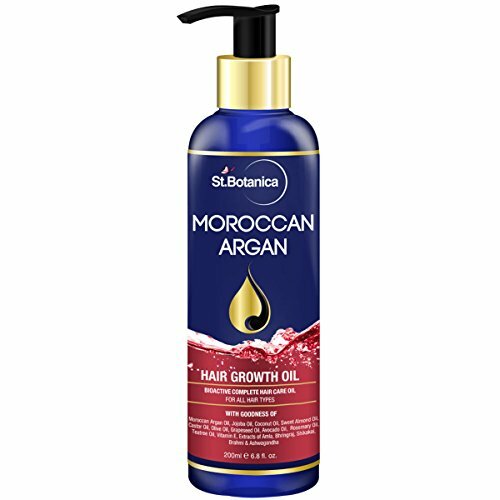 From Root to Tip, StBotanica Moroccan Argan Hair Growth Oil Feeds Your Hair With 100 Percent Plant Oils That Are Essential for Complete Hair Health. Impressive Results for the Hair You Deserve. Vegan Plant-based Oils Include – Jojoba Oil – Strengthen Hair Fibres From the Inside Out. 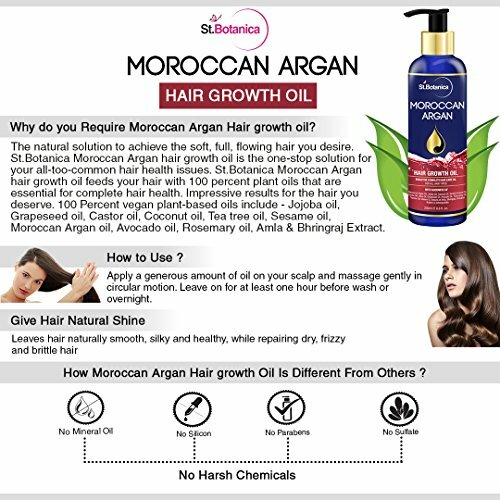 Moroccan Argan Oil – Effectively Create a Tight Seal for Your Hair Cuticle. Sesame Oil – Prevent Hair Thinning and Foster Healthy Hair Luster and Full Texture. Grapeseed Oil – Provide Nourishment From the Root for Every Strand While Also Sealing in Moisture. Rosemary Oil – for Hair Nourishment and Hair Growth. Gives Shiner, Healthier Hair. Avocado Oil – Replenishes the Hair With Vitamins for Overall Hair Growth. Castor Oil – Recommended for Hair Strength and Prevent Hair Loss. Coconut Oil – Rich in Fatty Acids That Nourish and Moisturize the Scalp and Hair. Tea Tree Oil – Naturally Soothes Itchy Scalp and Prevents Many Hair Problems Such as Dandruff. 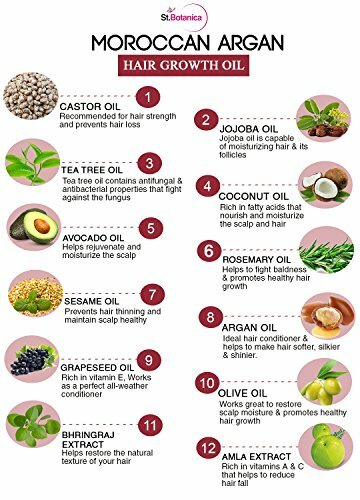 These Are The Best Oils For Hair Growth, People!